The flexible display is a technology that’s really started to come into its own in the past several years, and printed electronics are keeping pace. The two naturally complement each other, and PrintScreen, a customizable thin-film touch display, is among the latest and most promising combinations. It is a digital fabrication of a super-thin flexible touch screen that allows even unskilled people to print custom flexible displays. PrintScreen is the result of a collaboration between Simon Olberding, Michael Wessley, and Jürgen Steimle. 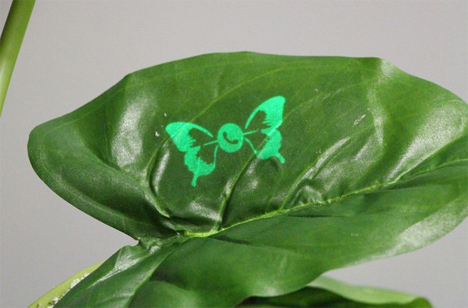 The team chose to use electroluminescent phosphoric ink, a material that requires very little power to use and boasts a long life. It’s resilient to bending and manipulation, making it ideal for flexible displays. The process starts with creating an image in any vector graphics program. 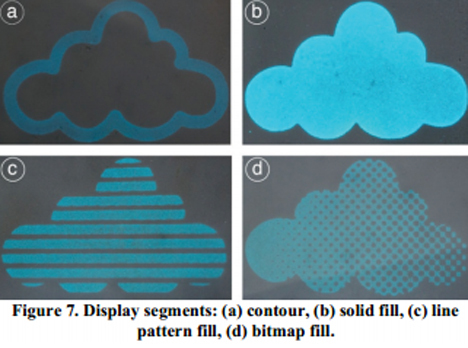 The displays are fabricated using four layers printed on top of each other: a silver conductor, the dielectric (an electrical insulator that can be polarized when an electric field is applied), the phosphor (the aforementioned electroluminescent ink), and a translucent conductor. This process is normally carried out by screen printing. The display can then be printed on a substrate. Because of the unique qualities of the flexible displays, there are very few limits in the type of substrate used, provided it is smooth. The displays can be printed onto paper, ceramic, leather, wood, plastic, and many more. They can also easily be made into touch sensors without the need for an additional overlay. 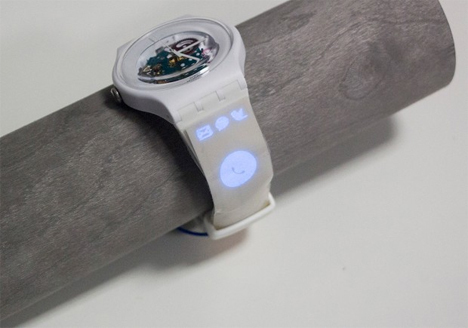 The team behind PrintScreen also came up with a method of instantly printing the displays with an inkjet printer. It would use paper that has already been prepared with all of the printed layers except for the ink. 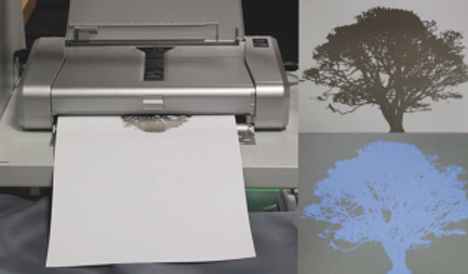 A normal inkjet printer is loaded with the electroluminescent ink and prints the design right onto the prepared display for an instant customized object. See more in Digital Design or under Technology. October, 2014.